Arlington, VA (March 22, 2017) -- Contraqer Corp., a cloud procurement management solution provider, today announced its partnership with Smartware Group, producer of the modern Bigfoot CMMS solution for maintenance organizations worldwide. Together they are offering joint users the ability to centralize and automate the entire maintenance, repair and operations procurement process, effectively achieving Closed-Loop MRO Procurement. Contraqer enables users to automate the entire procurement process from RFQ creation through PO issuance to receiving, returns, and pricing & support contract management. Through FedEx and UPS integration, users can even request an order pick-up and print shipping labels from the plant floor. “MRO organizations that actively manage their procurement process can save 9% to 25% on their parts spend and improve their uptime. The integration between Bigfoot and Contraqer makes this active management not just possible but easy" said Dwight Gibbs, founder and CEO of Contraqer. In addition to serving as the technological backbone for the preferred Bigfoot procurement MRO partnership, the Bigfoot Integration Suite also connects Bigfoot CMMS with other systems such as ERP, accounting, HRMS, asset monitoring solutions and more. The Integration Suite provides a variety of integration options, from simple import-export to dynamic API automation. Interested and potential users can attend two webinars to learn about the integration. 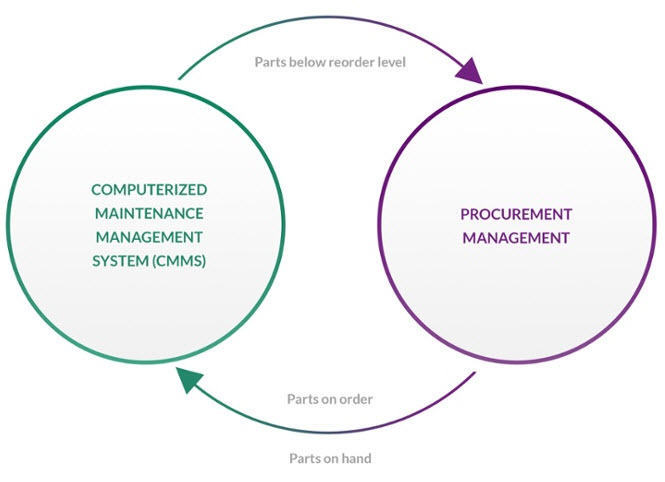 “MRO Procurement Webinar: Learn How Closed-Loop MRO Procurement Saves Time and Improves Uptime." is scheduled for March 30 at 2:00 p.m. EDT and March 31 at 11:00 a.m. EDT. Smartware Group, Inc., headquartered in Center Harbor, N.H., produces Bigfoot CMMS for manufacturing, distribution, data centers, hospitality, mining, and energy & utilities industries. Since 2002, Bigfoot has helped users worldwide improve facility and equipment maintenance operations with advanced capabilities that include a mobile app, safety/EHS, preventive maintenance (PMs) and predictive maintenance, work order scheduling, maintenance requests, asset lifecycle management, parts replacement inventory, and built-in reporting. Bigfoot CMMS’ native functionality paired with its intuitive design allows maintenance professionals to implement the solution and get results quickly, often in a matter of weeks. The Bigfoot solution earned a 2015 “Product of the Year” Gold award by Plant Engineering magazine, and previously won a Bronze Stevie® Award during the 11th Annual International Business Awards in the Best Interface Design category. Experience the Bigfoot difference by accessing a free trial today.